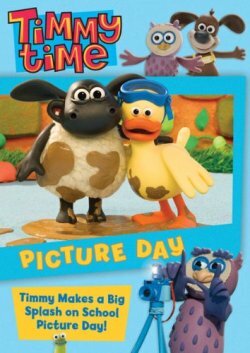 DVD SYNOPSIS: Come along for a picture perfect day of fun with your preschool pal Timmy™! From the Oscar®-winning creators of “Wallace and Gromit™” and “Shaun the Sheep™” Timmy makes you smile, with fun-loving adventures with his nursery friends. From good, clean fun during school photo day to drumming up music lessons, these wonderful stories filled with surprises will have you laughing in a flash. So snap up these five adorable tales with a big focus on fun! Personal REVIEW: I'm a superfan of the Lionsgat Hit Entertainment DVDs for many reasons. (Biggest is you can put it on AUTO and it repeats!! hahaha) But also because they mostly give you a plethora of episodes to choose from. 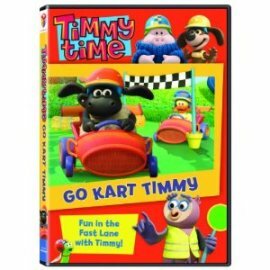 This one has 5 different tales of Timmy and his friends. B in my house.